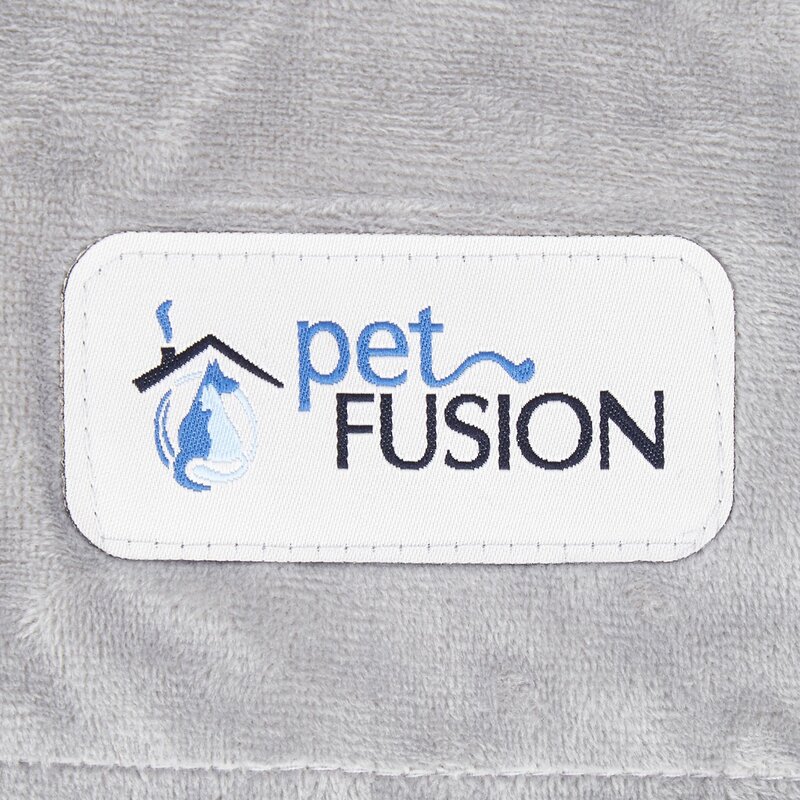 Pets love to cuddle up on the couch just as much as their people do, and now they can do it in supreme style and comfort with the PetFusion Premium Reversible Dog & Cat Blanket. 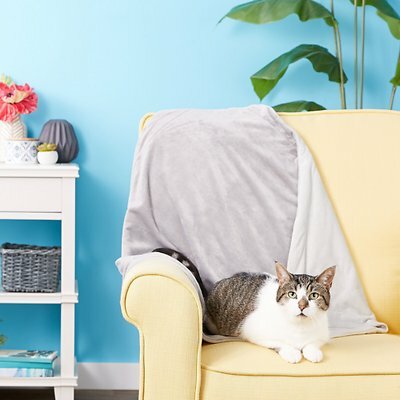 This ultra-soft, 100% polyester micro-plush blanket provides soothing security along with just the right amount of warmth for year-round snuggling. 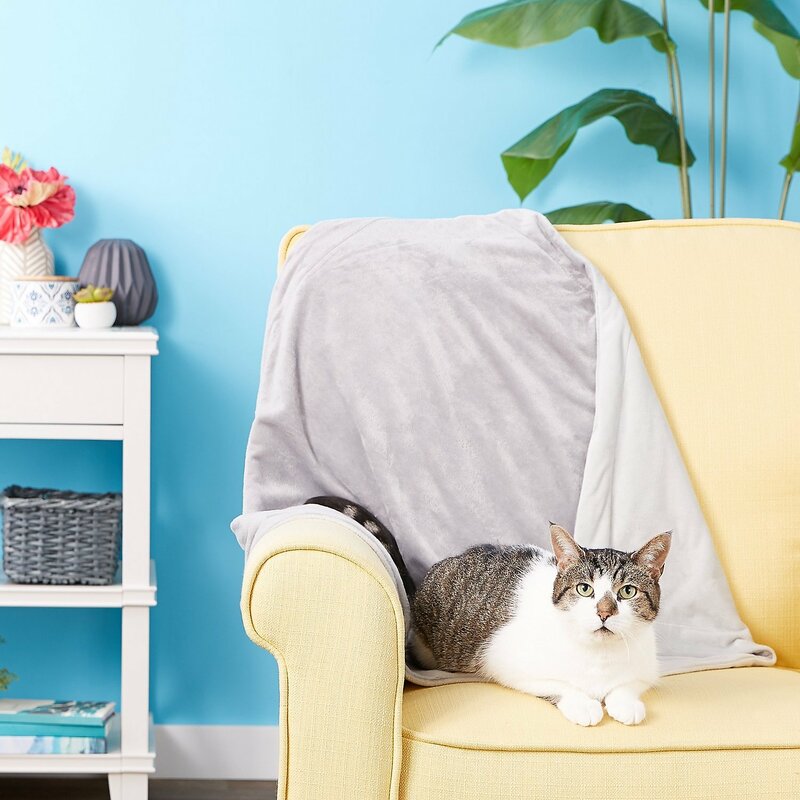 In addition to enveloping your precious pet in luxury while he naps, this handsome blanket will also help protect your furniture, car seats and other surfaces. The dual-sided design also features a stylish in-seam and dense, plush fibers that resist shedding or pilling. 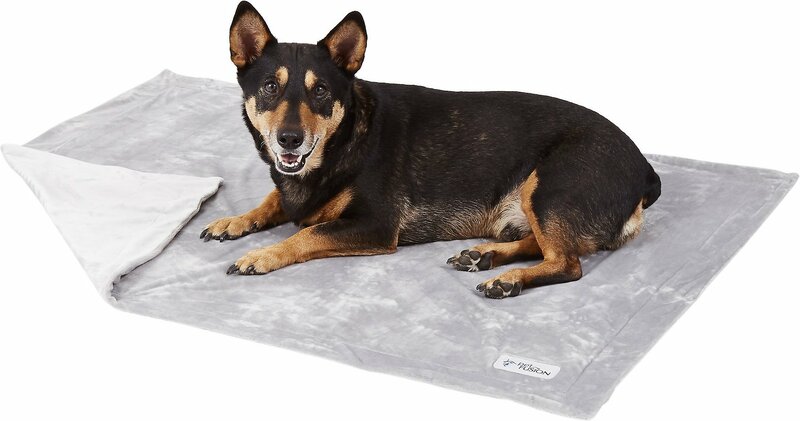 Four sizes available to fit most pets; blanket is machine-washable for simple care and maintenance. Spot clean with mild soap & water. Lint roller to remove hair. Machine wash cold. My 2 dogs love the softness of this blanket. I’ve already had to wash it once because they got it muddy. Came out of the wash like new. I personally love this pet blanket. My cats too! One side is a light gray and the other side is a dark gray so you can choose which shows! This blanket is super soft, velour-like. It seems like the fabric resists some fur and dirt. The soft texture and quality have remained even with multiple washes. Sooo happy we bought! It is very soft. Our dog likes to chew on blankets but he has not done this yet. He has had this for a limited time at this point. I bought this blanket in a small for my new puppy and she loves it so much I bought another one in medium. No doubt I will get the large size when my pup gets bigger (max 20 pounds), but the large will be great to throw on floor for her to lay down on while playing with toys or eating a treat. It it most soft and washes nicely. A must have to comfort your fur ball regardless of the age/size! The blankets are very soft and well made. The blankets compliment the gray PetFushion dog beds quite nicely. I bought 2 blankets per dog bed so I can wash the blankets regularly instead of washing the bed covers too frequently. Will see how the blankets hold up being washed every other week. It is definitely very soft. 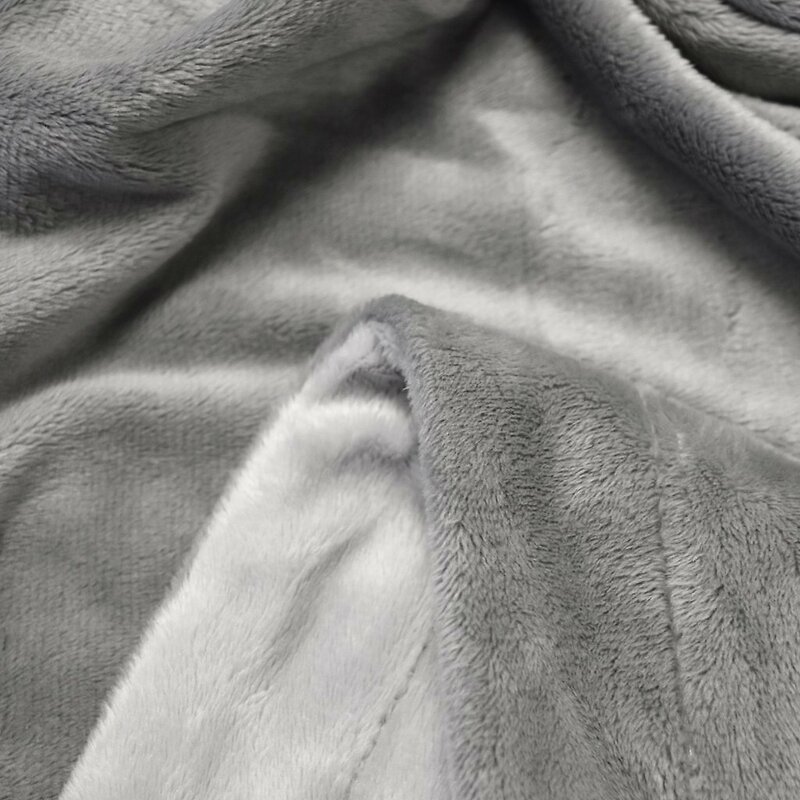 I purchased two of these blankets in gray to place on our couch for the dogs. They are very soft and cover the cushions nicely. I am disappointed that the grays do not match. I got this blanket to protect my couch and bed for when my dog lays on them. He loves it...Carrys it around the house like his blankie!